Sub Bus Drivers needed- Dayton, Fernley, Silver Springs and Yerington! Help us spread the word! 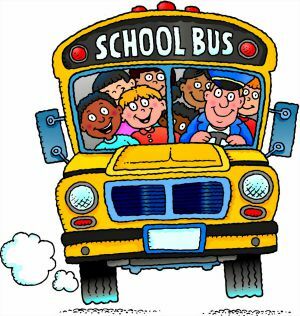 Substitute bus driver is a great job opportunity for stay at home parents/guardians, with flexible hours! 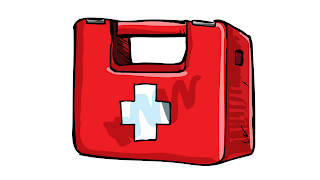 Possibility of a Permanent Position with Full Benefits and PERS Retirement. LCSD transportation will train and certify you for a Class B CDL License. Shelby at Sutro Elementary spreads happiness with bananas. Hillarie Thompson says she has been such a great helper in the mornings while preparing breakfast for the students and she wouldn’t make it in the mornings without her. 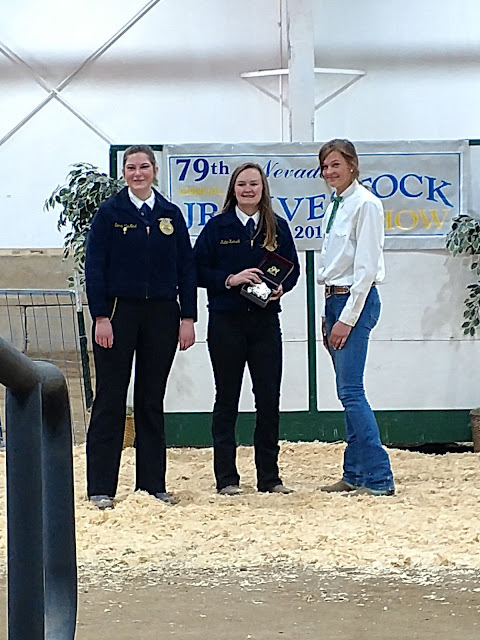 Great job, Shelby! A student from ROP was able to present to YHS staff in their last collaboration and has completed emergency kits that will be delivered to every classroom. This student presented and has prepared the emergency kits as part of their community service project required for graduation. Dayton High School Marine Science and Environmental Science classes completed a Citizen Science Project this semester. Linda Flaherty and Peggy Merrell attended an Ocean Plastic Pollution Summit at Monterey Bay Aquarium, and Mrs. Merrell introduced DOT (Do One Thing) as the title. 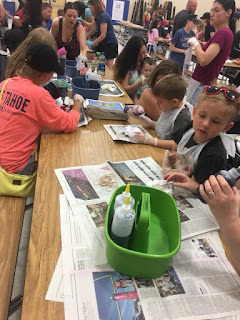 With five of their classes they conducted trash audits, learned about different types of trash, how to recycle, reuse, and repurpose items, how the marine and land ecosystems were affected by all the human creation of trash, and how the community could change what is occurring in the different ecosystems. 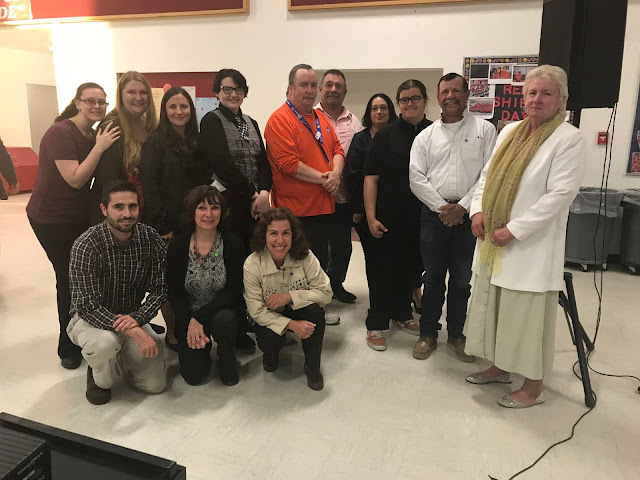 Students from the different classes presented at Healthy Communities Coalition, DHS advisory classes, DIS advisory classes, the Monterey Bay Aquarium (with Mr. Jordon Jennings helping to chaperone) and the LCSD School Board meeting. The students who presented were Denali Casarez, Alexandra Edmondson, Caitlyn Koback, and Jean Wilson. Thank you for your participation last year in making the poster contest a success. Last year’s winners were from Reno, Carson City and Pahrump and their artwork was featured on billboards Statewide. 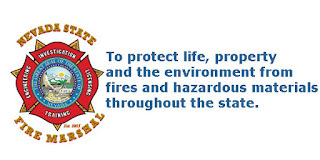 The 2018 theme for Fire Prevention Week will be released on June 11, 2018 athttp://www.nfpa.org/public-education/campaigns/fire-prevention-week and we are looking forward to participation from the students throughout the state again. 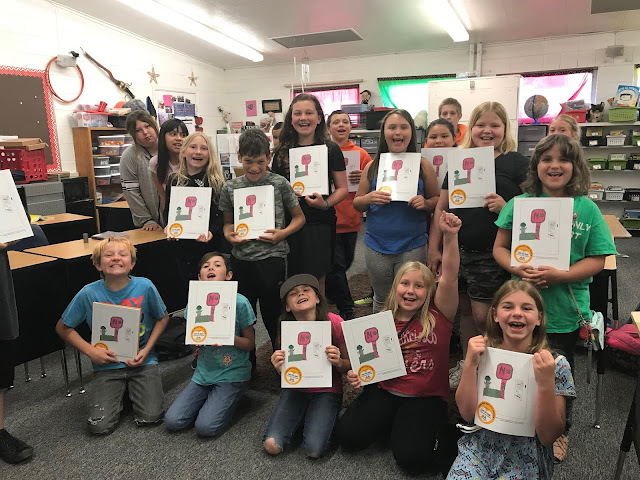 Kelly Malloy's 4th graders at Fernley Elementary School published their book, The Day There Was No Sub through Student Treasures Publishing. It is a compilation of short stories revolving around a day when no sub arrives based on the novel Flying Solo that they read aloud. 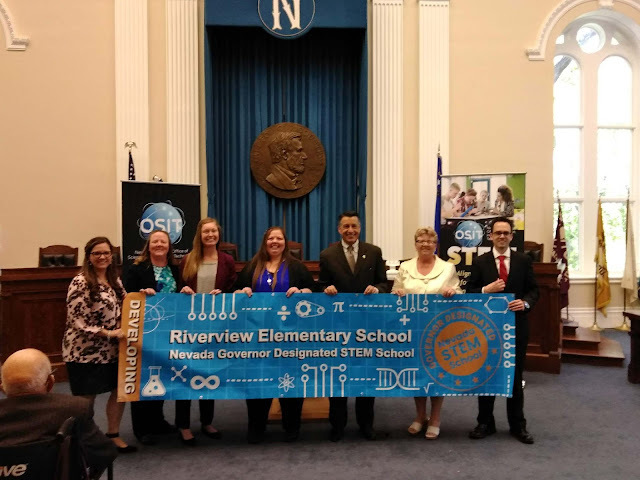 Riverview Elementary School receives Nevada Governor Designated Developing STEM School recognition from Governor Sandoval and the STEM Advisory Council. Recognized schools received a Developing, Established or Model school. Congratulations, RES staff and students! 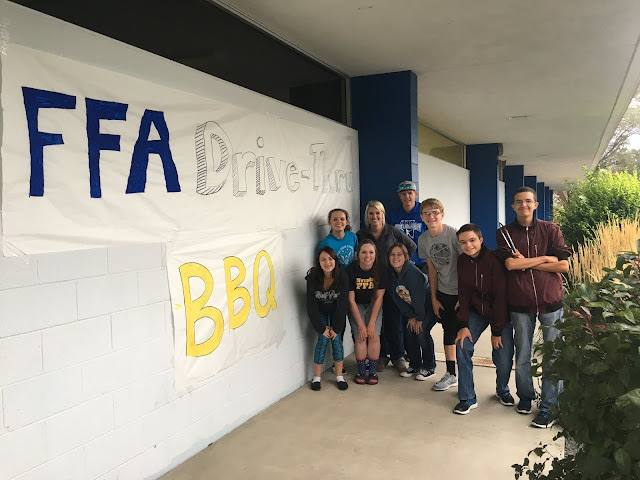 Smith Valley FFA hopes to continue the tradition of hosting a fall and spring drive thru bbq! STEM Night put on by Sierra Nevada Journeys at Sutro Elementary! Students, staff and families had a great time! The students of the YHS Art Club, which is headed by Mr. Durand, walked across town to the senior center facility to assist seniors as they painted for several hours. Last week, Mike Alger the meteorologist for Channel 2 News in Reno hosted LR. from Riverview Elementary School as his Weather Kid for the day. Check out the video here! 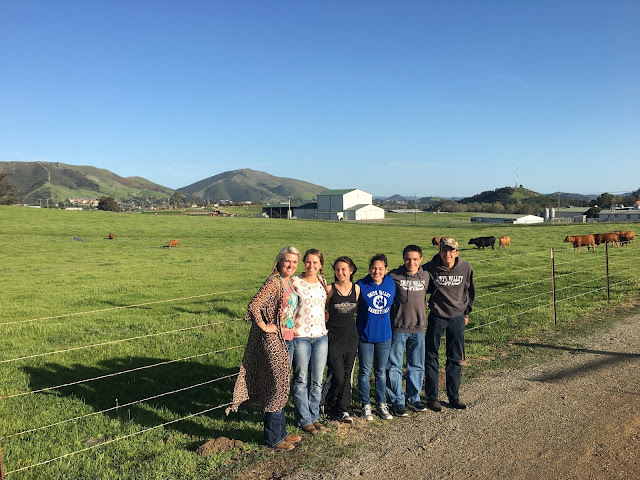 Agriculture students from Ms. Pommerening's class at Smith Valley Schools went on college tours at California Polytechnic State University (Cal Poly) and Chico State University through a work-based learning grant. Check out all the fun from Science Nights at East Valley Elementary School!